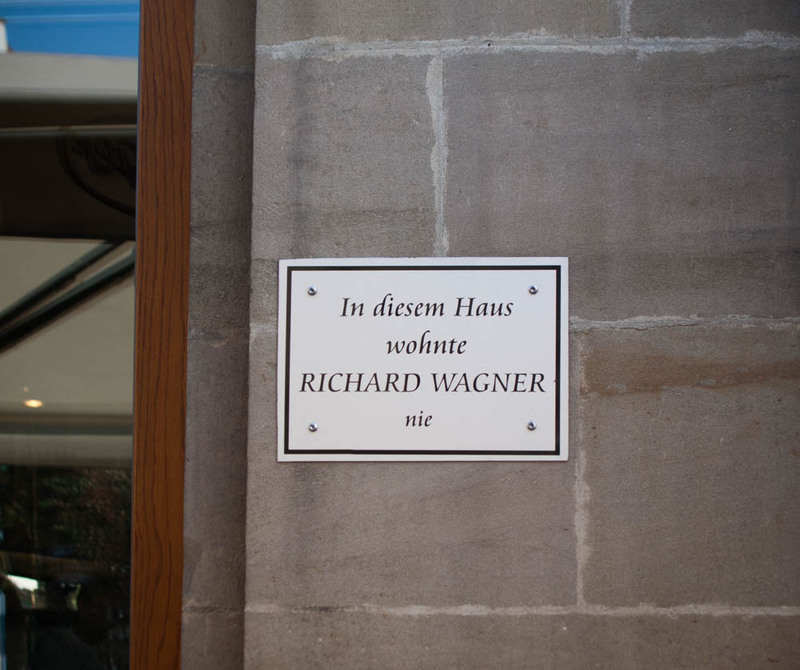 August 29, 2015 Even 130 years after Wagner’s death, Bayreuth belongs entirely to him. The city is beautiful, but the atmosphere is strange: part cult, part kitsch, part ever-present and often-disturbing history. Certainly, there are other dignitaries who feature in local history–Franz Liszt, Jean Paul Richter, etc.–but they pale beside the Festival and everything associated with it. The influence of the Great Master is still inescapable. 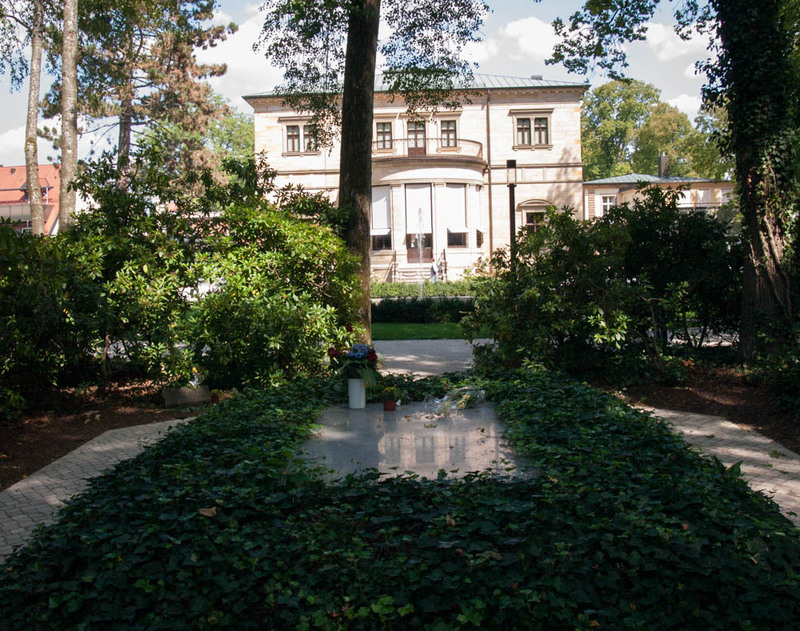 Above, Villa Wahnfried, the home King Ludwig built for the Wagner family in Bayreuth. The name means freedom from illusion–I have always wondered what Wagner meant by that. 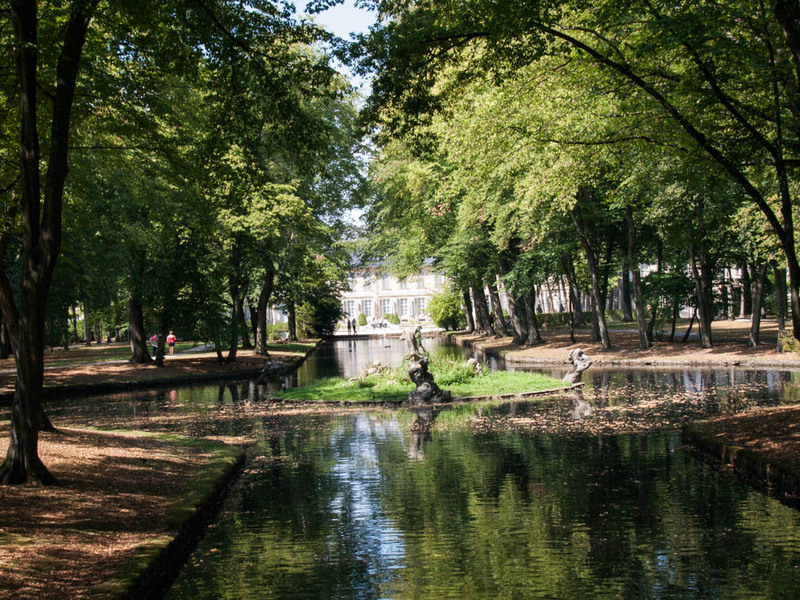 The Villa is a peaceful and lovely place, backed by a gorgeous park full of flowing water and walking paths. 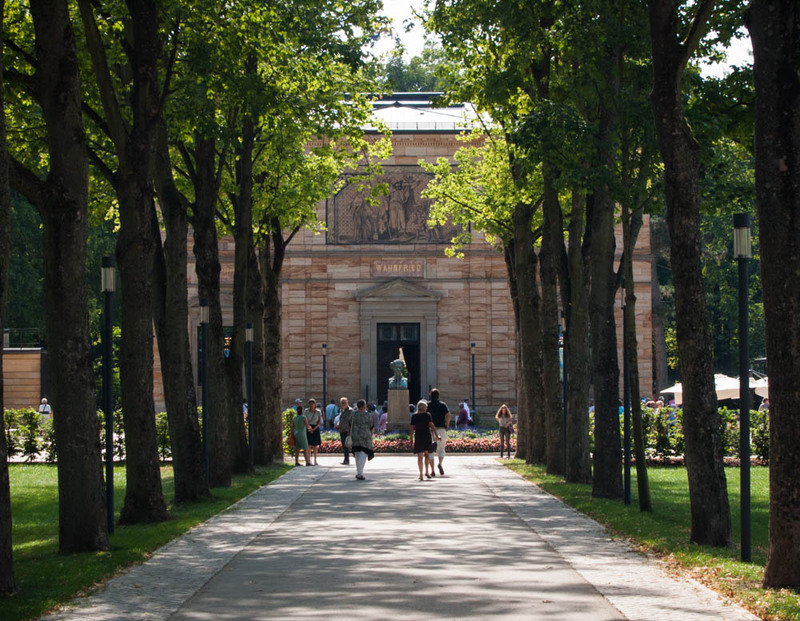 During Wagner’s time, and for many decades afterwards, it was a place of pilgrimage for the world’s artistic and intellectual elite, full of art and discussion and beauty. Wagner’s grave, directly behind Wahnfried. To the side, the graves of his beloved dogs. 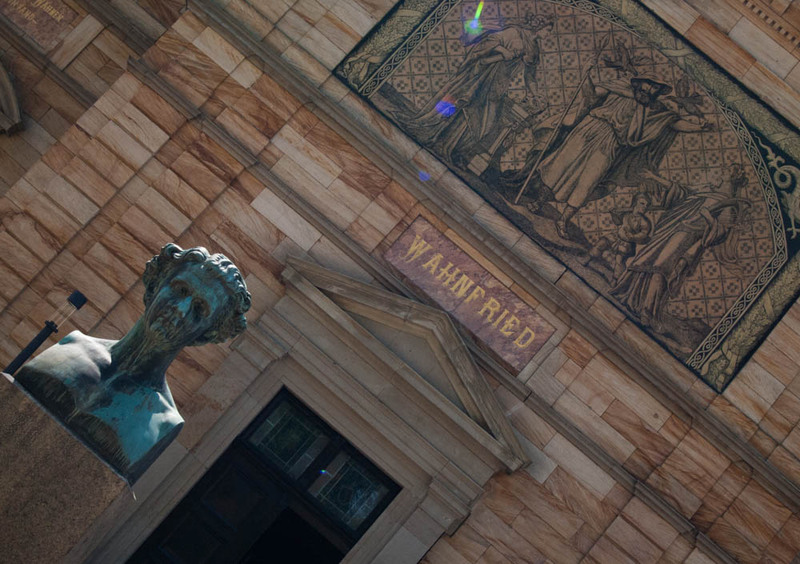 Of course, Wahnfried is not entirely unproblematic: during the 1930s, Hitler lived part-time with the Wagner family in a small house next to the villa. Richard himself was at that point long dead, but the Führer and everything he stood for were welcomed with open arms by his children and wife Cosima. Statue of King Ludwig, and the fresco above the door: Wagner in the center as Wotan, Cosima on one side and the opera singer Schröder-Devrient on the other representing Tragedy and Music, and his young son Siegfried. The park behind Wahnfried, looking towards the Residenz. 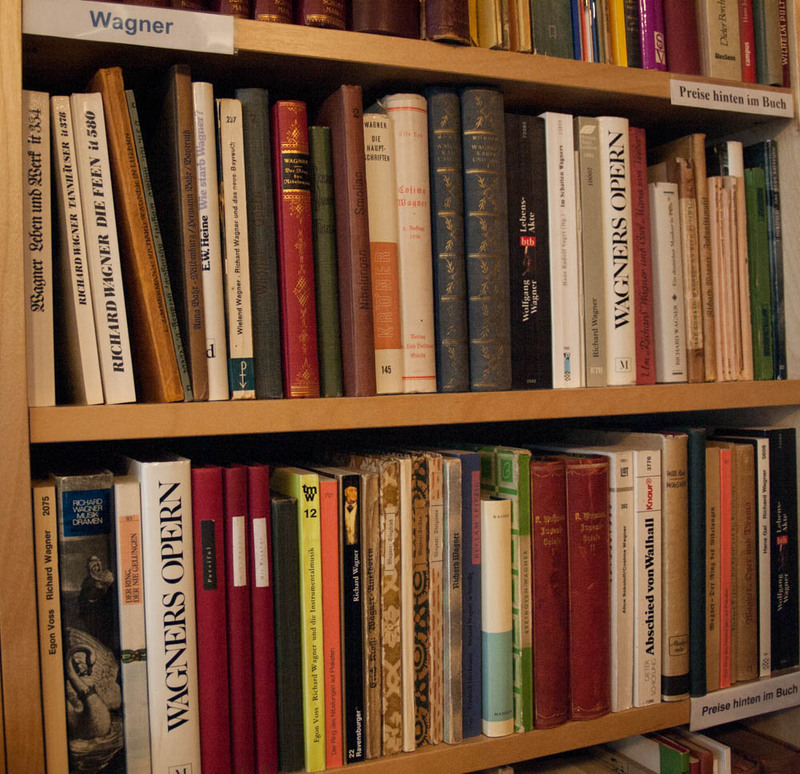 Back in the city, Wagner becomes a selling-point, a way to draw in tourists and maximize your selling power. 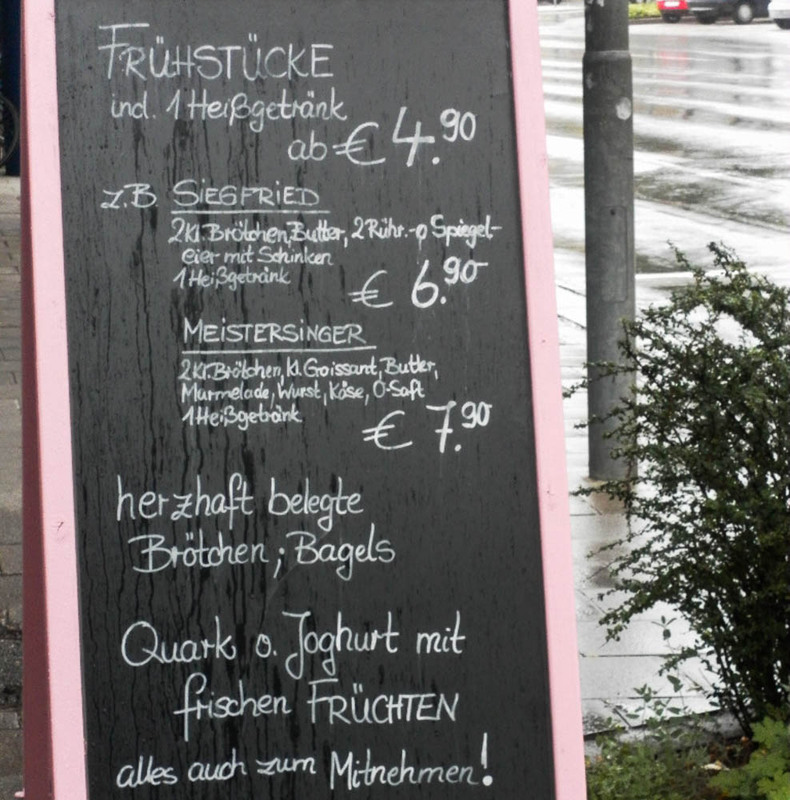 Stick a Wagner bust in your window, or name your breakfast specials after Der Ring des Nibelungen, and the crowds will come. Much of this sort of advertising strays into kitsch, which is somehow hilarious and endearing at the same time. 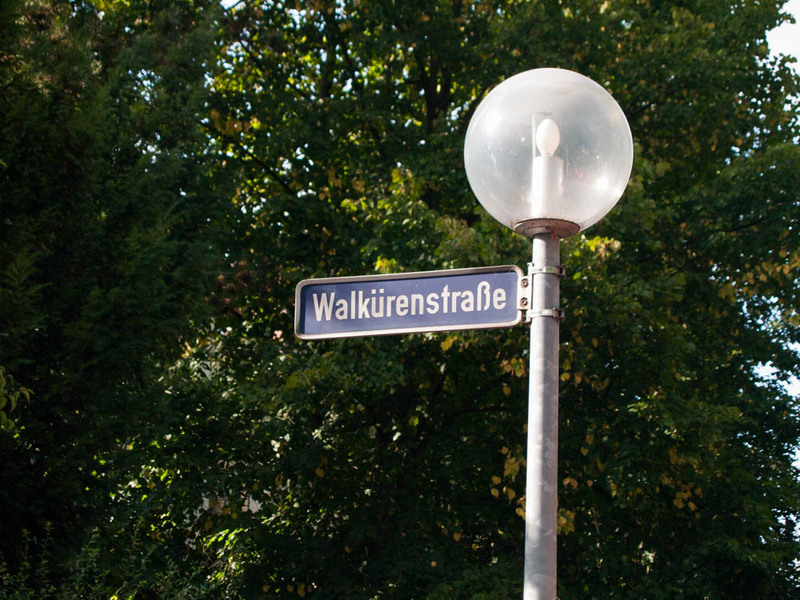 Half of the street signs in the city are named after characters in the operas, or after Wagner’s family members. Here, Valkyrie-Street. 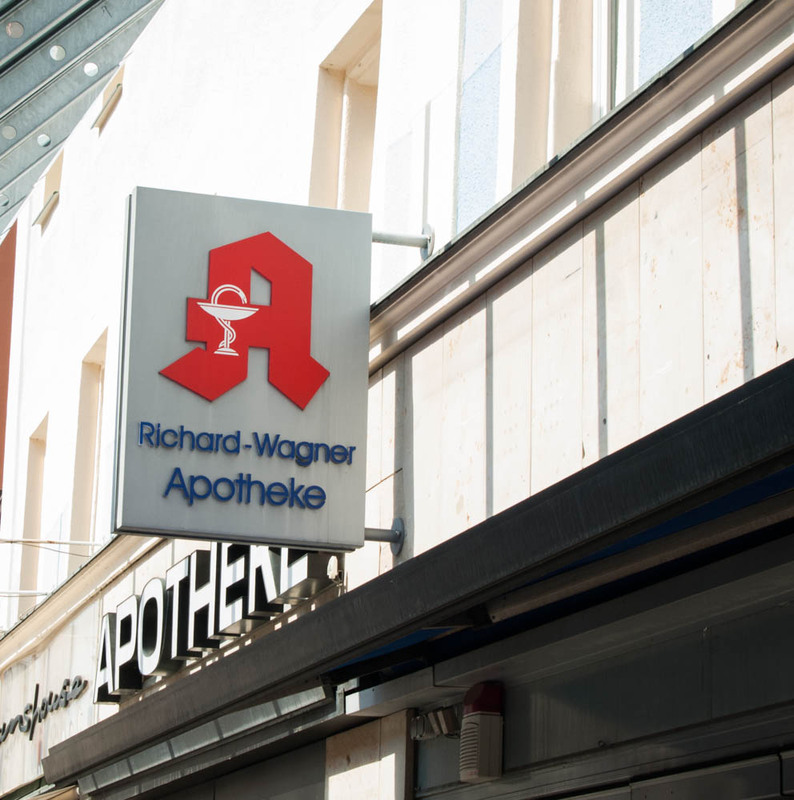 Even the pharmacies are named after Wagner! 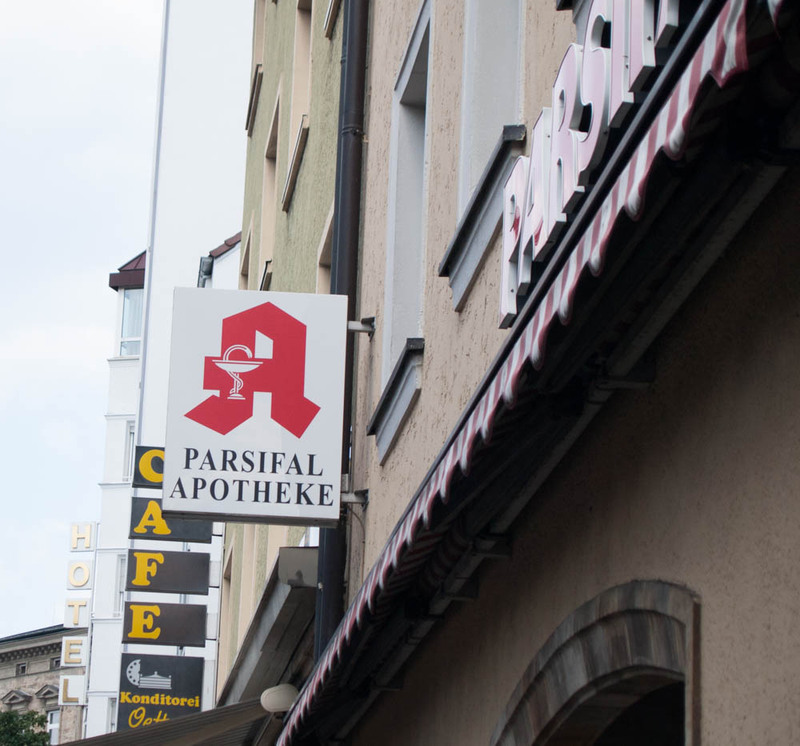 Here, Parsifal, his last opera. During the Festival, the black market for opera tickets booms. 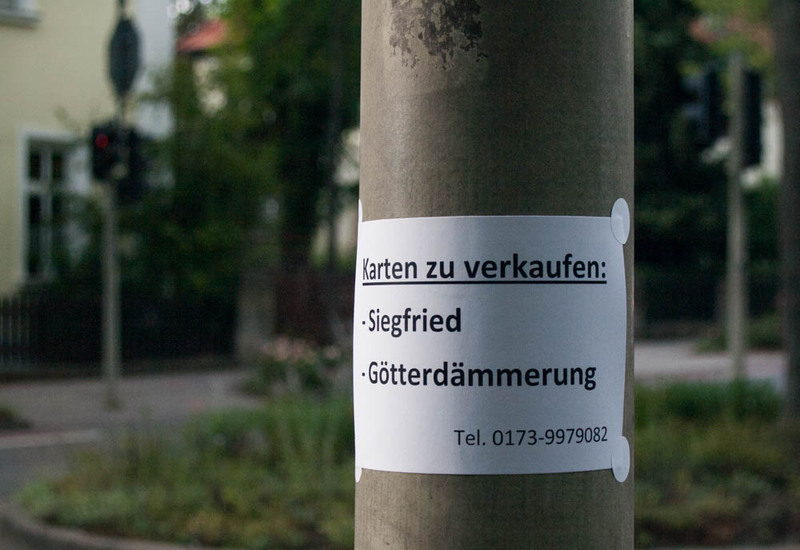 Above, Siegfried and Götterdämerung tickets for sale. Wagner-window I. 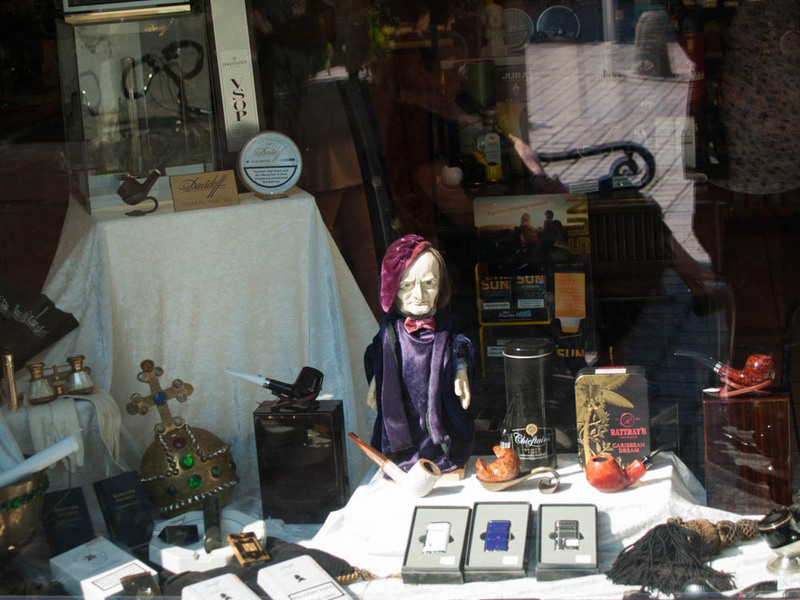 Here, a tobacco shop with tiny Wagner doll. Cute, oder? Wagner-window II. 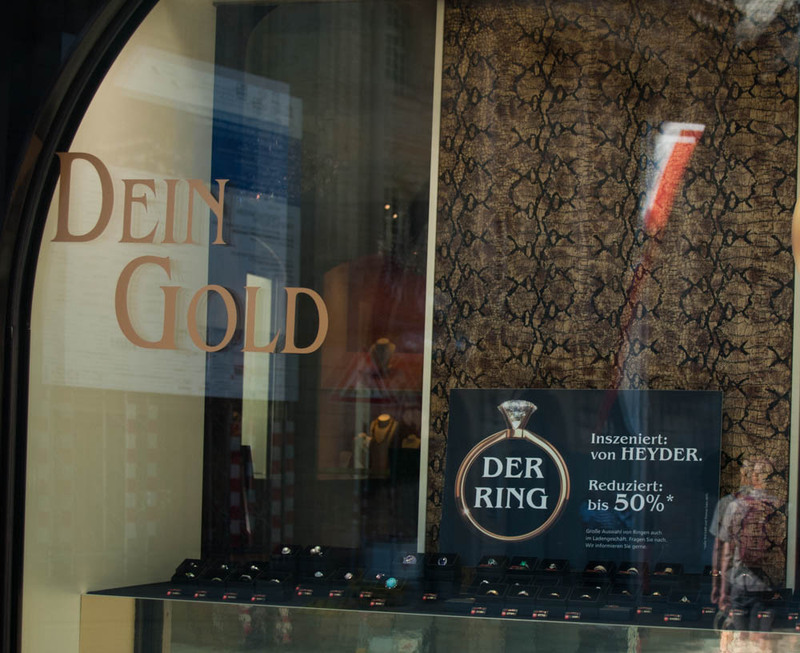 Jewelry shop where you can buy “Der Ring,” rofl. “Dein Gold” (Your Gold) instead of “Rheingold” (first opera of the Ring Cycle), get it?? Wagner-window III. 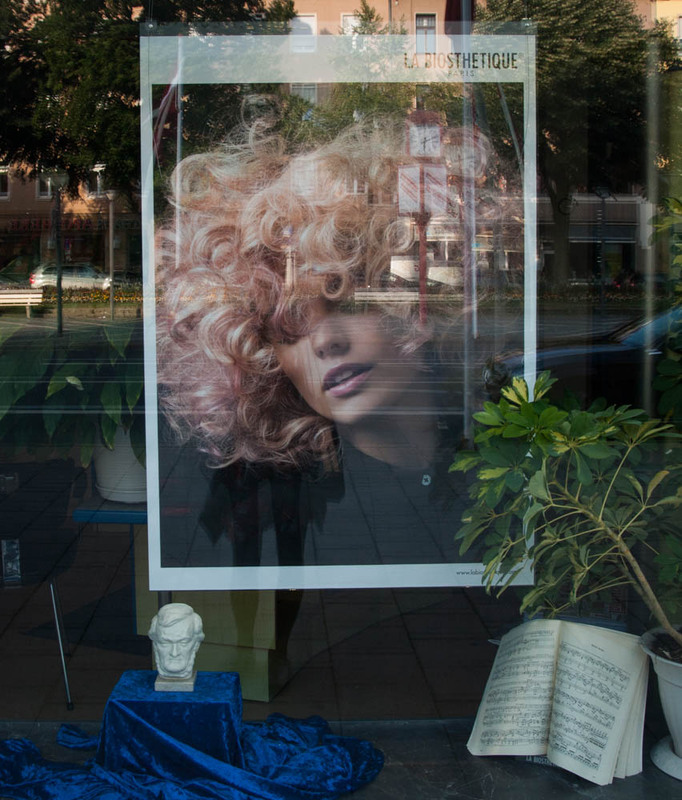 Hair salon with Wagner bust and score of Tristan und Isolde. I have no idea, either. 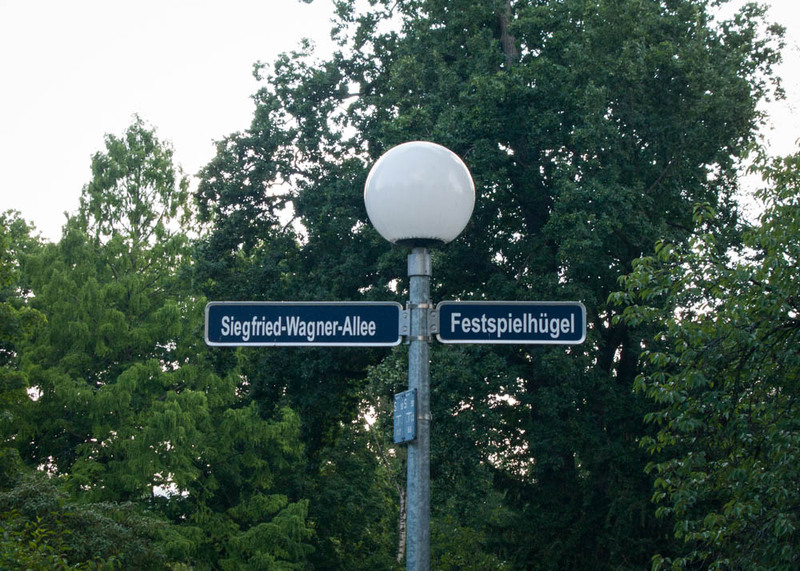 Siegfried in one direction, Festival Hill in the other. 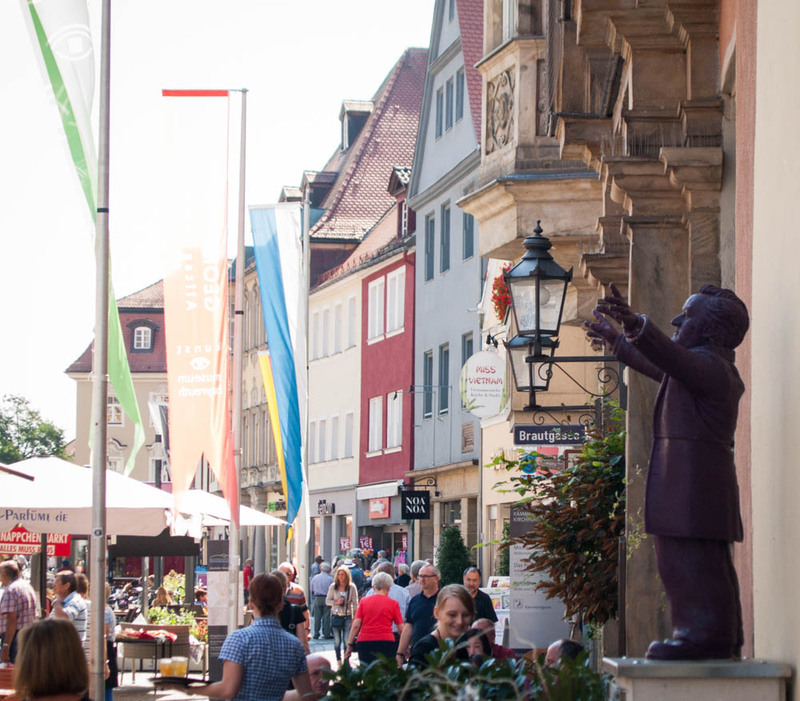 Despite a complicated past and kitschy present, however, Bayreuth is lovely–relaxed festival atmosphere, full of beautiful cars and well-dressed opera-goers eating in the open air cafès and reading Wagner libretti in the parks. The whole city has a sort of holiday air, a feeling of being removed from the rest of the world, shut away in a tiny universe dedicated to the power of music. 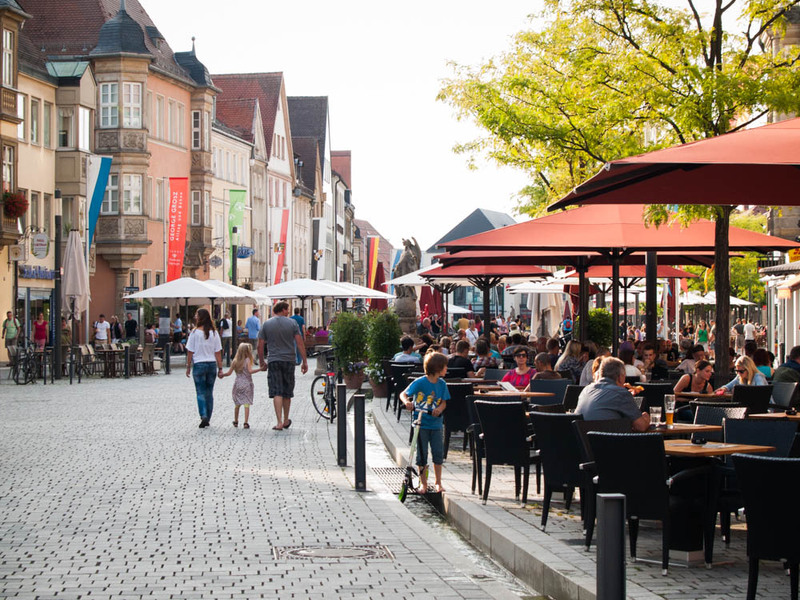 Festival atmosphere–open-air cafés, cappuccinos and ice-cream and late-afternoon walks. This entry was tagged Adolph Hitler, art, Bayreuth, Bayreuth Festival 2015, Bayreuther Festspiel, city, classical music, Der Ring des Nibelungen, Deutschland, Germany, kitsch, music, opera, Richard Wagner, tourism, travel, traveling, Villa Wahnfried, Wagner. Bookmark the permalink.